The Commissioners of Irish Lights (CIL) is the General Lighthouse Authority for all of Ireland, its adjacent seas and islands. CIL carry out the obligations of the British & Irish Governments in relation to the provision of Aids to Navigation (AtoN) services including the superintendence and management of all AtoN around the coast of Ireland commensurate with the amount of traffic and degree of risk under the Safety of Life at Sea Convention (SOLAS). Based in Dun Laoghaire the organisation currently employs 120 staff. CIL operates an essential maritime safety service around the island of Ireland. 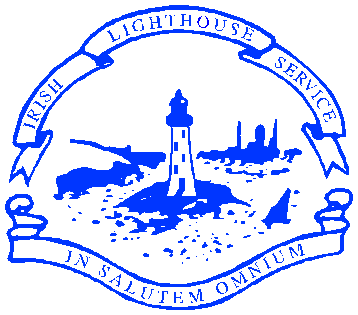 Together with our General Lighthouse Authority partners, Trinity House and Northern Lighthouse Board, we have operated this service for over 200 years. This Ireland/ UK integrated approach to marine Aids to Navigation requirements and service delivery is a critical part of the context in which CIL operates. From the seafarer’s perspective, this approach ensures a common standard for navigation safety and the cost effective use of resources with all three authorities benefiting from economies of scale and shared services. The Irish Lights Vessel Granuaile maintains the various Aids to Navigation provided by the Commissioners. The current vessel entered into service in February 2000 and is the third Irish Lights ship to be named after the pirate queen Granuaile. Granuaile is a multi-function vessel which can operate in challenging sea conditions. Fitted with Dynamic Positioning linked to satellite navigation systems the vessels primary function is to place and service buoys, replenish offshore lighthouses and serve as a helicopter platform for operational activities. Granuaile is also available to assist state agencies with search and rescue, emergency towing, oil pollution, surveying and offshore data collection. CIL provide on-going support for cadets by providing training berths on Granuaile whereby they can receive excellent high quality training in a challenging marine environment. For appointment as a qualified officer on-board Granuaile marine based certification is essential and the requirement is usually for a higher level of Certificate of Competency than the rank that you will sail in, i.e. to sail as Chief Mate you will usually be required to hold a Master Mariners Certificate of Competency. For employment in the Navigation Services Department in our offices, a marine based academic qualification in addition to a Certification of Competency is also desirable. A number of different roles and skillsets are required to successfully run an Aids to Navigation Service. In addition to shipboard vacancies, employment opportunities can also arise shore side in areas of Technology and Data Services, Engineering, Technical, Corporate Services and Planning. The relevant qualification is essential for each role. Our relationship to the seafarer is fundamental to our existence. Seafarers expect us to lead the way in providing the most up-to-date and reliable technology available to help them navigate their vessels safely and efficiently. Seafarers are absolutely essential in providing feedback on the day to day service that we provide. Seafarers are also a vital source of employment for the ILV Granuaile. Delivery of stakeholder value to Seafarers is the cornerstone of the strategies developed and adopted by CIL for all of our stakeholders. This article was provided by The Commissioners of Irish Lights as part of the Seafarers Awareness Week. Please use the #seafarersweek when sharing this piece online.